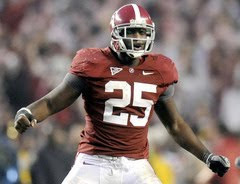 Alabama's linebacker Rolando McClain has been awarded the 2009 Butkus Award for the nation's top linebacker. Was there any question after the hurt he brought to Florida last weekend. Rolando becomes the second linebacker at Alabama to win the award. The other is Derrick Thomas who won it in 1988.